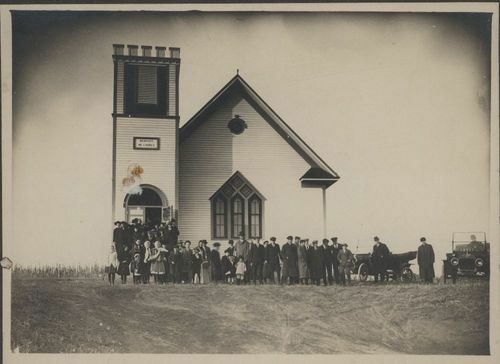 This is an exterior view of the New Hope Methodist Episcopal Church with the congregation standing in front. Two automobiles are visible in the photograph. The church was located near Troy, Kansas.